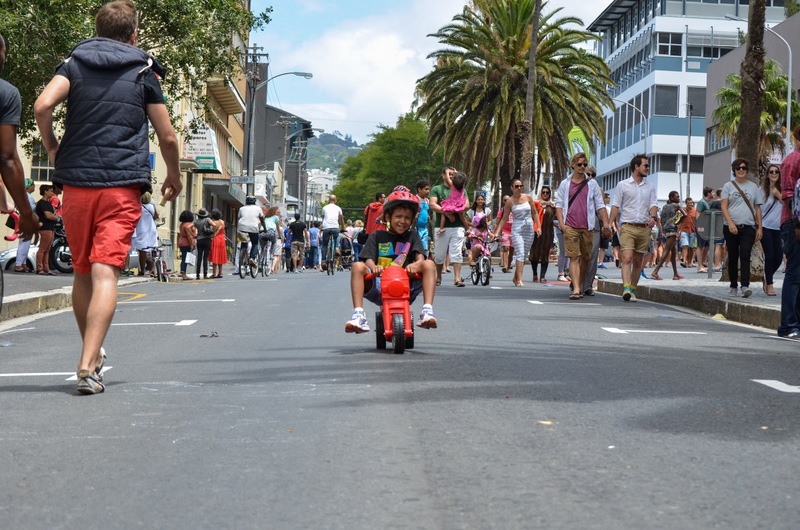 Open Streets Cape Town has hosted car-free days in South Africa’s “Mother City” for half a decade. In celebration, the organization's co-founder & managing director and operations manager reflect on its successes and goals, while also asking some important questions about the future of the project. The concept of Open Streets has moved groups of people around the world to take action on the ground. Birthed and cultivated by citizens passionate about their urban spaces, these local initiatives are a way for people to reclaim their streets in a demonstration of healthy recreation and community. 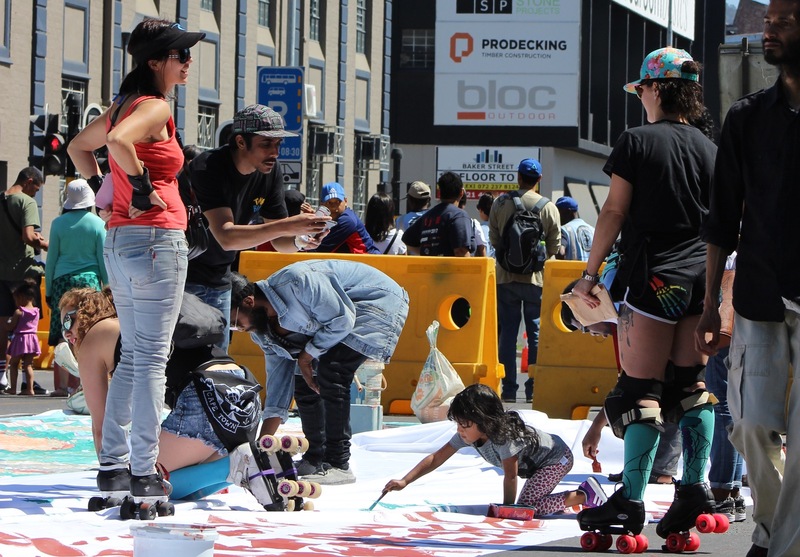 Many have taken inspiration from Ciclovía, the Colombian mega-program that reserves a network of streets for people to run, cycle, skate and explore their cities and towns in a car-free environment on a weekly basis. In Cape Town, it started with local government testing the idea in 2003. Ten years later, a group of dynamic individuals asked themselves: how can we establish Ciclovía here? Momentum gathered, and soon others joined a collective pursuit of this idea. These were people dreaming of an alternative future for the city, one where riding a bike is not a death sentence and everybody can share public space. 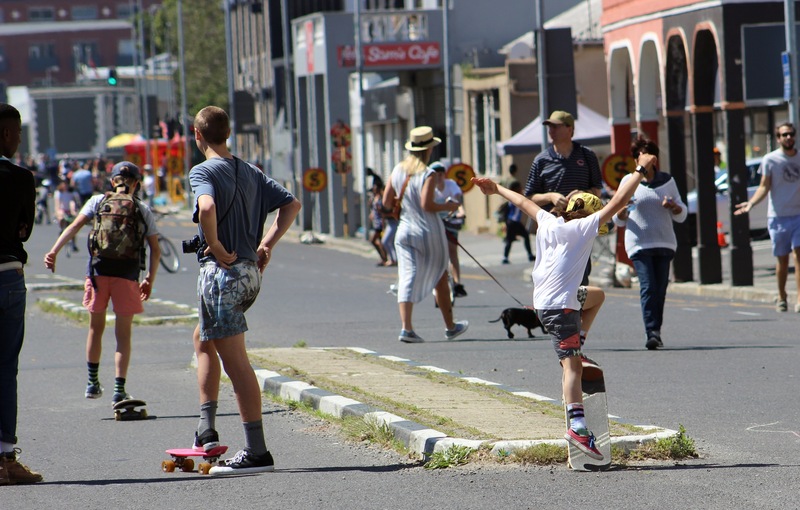 The first citizen-organized Open Streets Day in Cape Town took place in May 2013, as Lower Main Road in the inner-city suburb of Observatory became a space where thousands of adults and children were invited to play, ride and dance together. It has now been five years since that first experiment, and over the course of 14 Open Streets Days spread across various parts of Cape Town, we’ve seen the initiative grow into a movement of people actively reimagining their streets and connecting with each other across deeply entrenched social and spatial divides. 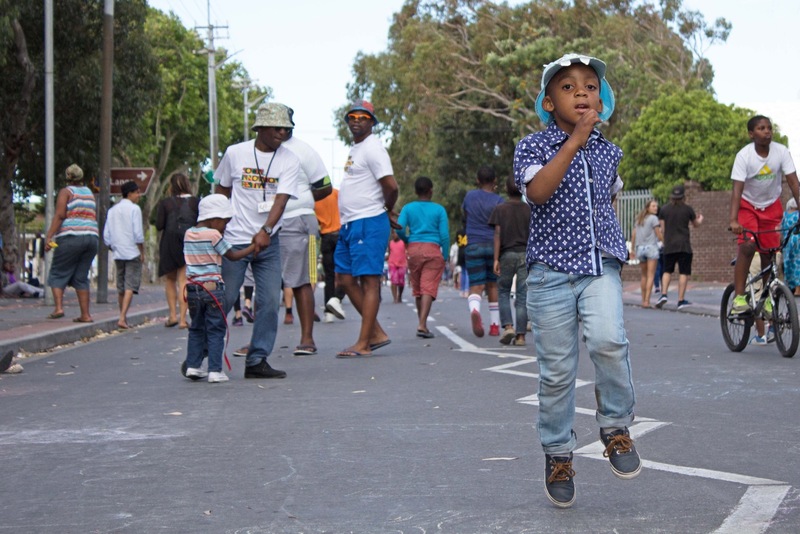 At this point in the journey, while we celebrate all Open Streets Cape Town has grown into, we are also grappling with some big questions: What does an Open Streets program look like in Cape Town? What could its legacy be? How does it remain relevant in light of other pressing social issues? 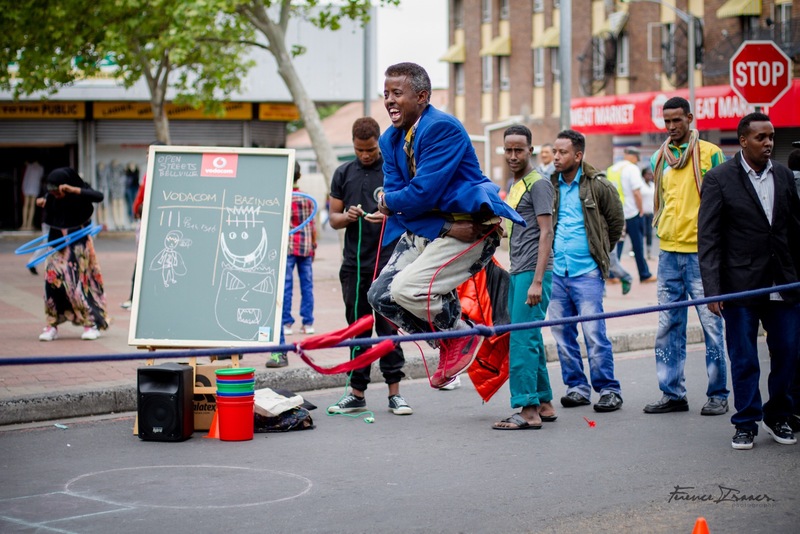 What does an Open Streets program look like in Cape Town? While the original vision was of a Ciclovía-type network of car-free streets on major arteries, we have our own context in which to shape the program. The idea has manifested in local communities in a variety of ways, influenced by Cape Town’s unique relationship with public space, the recreational activities we enjoy and the regulatory constraints of local government. The pervasiveness of apartheid’s fragmented city planning makes it hard to create road closures. Nevertheless, and without fail, once we have created the car-free platform, people use the space to play games and sports, and fill the street with activities. In some areas, the economic opportunities of trading and small business development are the biggest draw card. Above all, people celebrate the opportunity to connect with each other and feel part of creating communities that care for everyone. We have not yet established what format can best suit Cape Town’s reality. We have tested short road closures in places such Langa and Bree Street. And although the response has been equally positive in both instances, it is clear you can’t compare the impact, given the very different socioeconomic worlds these two communities represent. Last year, we took a leap of faith and closed down 5km of Main Road (Cape Town’s M4, a major artery) to connect Observatory and the city center. The intention was to test a model that more closely resembles Ciclovía, with fewer activities and more space for walking, cycling and skating. While some people complained it was too long and spread out, others reveled in the transformation of the streetscape and the opportunities it presented to move around. Given the mixed responses, we are testing the same format again this year, incorporating the lessons learned the first time around. It has become apparent that short, concentrated Open Streets Days generate a level of energy and activity that is not possible on longer stretches. At the same time, it’s not possible to experience mobility and a real sense of an alternative in limited space. To better understand these issues, we collect public feedback while engaging with government officials and experts to determine which variables might truly change people’s mindsets and behavior. At the core of our dilemma are timeframes: While we are aware that short-term gains often don’t determine the success at the end, we are also conscious of the importance of public support and the need to have people on board. We can’t afford to lose the energy that until now has been the reason that people cherish this program. In the past five years, we have come to understand that the shape of the program – and, therefore, its legacy – is not up to government, the private sector, or even neighborhoods alone. It is the result of collective discussions and, most importantly, of communal actions and experiences. We have seen in other Open Streets programs across the world—Open Streets Toronto, Atlanta Streets Alive, Raahgiri Day in India and CicLAvia in Los Angeles, to name just a few—to which each city lends its own unique flavor. For example, while Los Angeles focuses on attracting thousands of cyclists to show the power of a major artery without “normal” traffic, in Indian cities the concept follows the aim of providing equitable “streets for all” (given the context of a high level of inequality). In Nairobi, the focus is on the creation of living spaces and vibrant public space. In Cape Town we are working to determine where we should place our focus so that the program can contribute to the creation of a city that resembles the dreams and expectations of all those who inhabit it. In seeking to consolidate a strategy for the Open Streets program to have real impact, we have been working with local government and other neighborhood groups. But we clearly still have a lot to improve in order to reach the full potential of these partnerships. How can Open Streets remain relevant in light of other pressing social issues? Going forward, one of our biggest questions is how we maintain relevance in light of the myriad challenges facing our city. Although there is no single answer to this question, we believe there is a real opportunity to use Open Streets as a platform to energize communities, while in turn using that momentum to grow and nourish the program. When we organize an Open Streets Day, a great level of energy goes into convening people in the area. Thus far, that has resulted in a high level of support, but once the day is over, the energy quickly dissipates. We have engaged our partners and supporters to try to shed light on this issue and to find ways of creating mechanisms that will ensure not just relevance but increased ownership so that the program can continue to grow organically. Our most recent attempt took the form of an Open Streets Indaba (Indaba is a South African word for meeting or gathering), where we discussed plans for the year and invited others to help us imagine what that future holds. As we look ahead, we are interested in identifying some of the simple steps we can take to build on that energy and to use the resulting platform to address other issues. 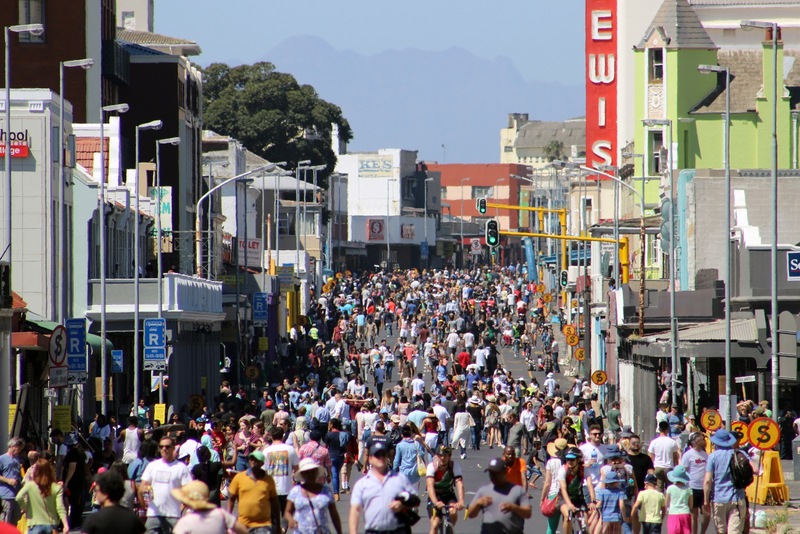 Open Streets is of, course, only one piece of a large and complex puzzle that is our city, Cape Town.